The Connecticut Supreme Court has reversed the conviction of a man who was found to have war memorabilia in his car, including a dirk knife and a police baton, while he was moving from one residence to another. The non-profit advocacy group Knife Rights said the decision affirmed knives are arms protected by the Second Amendment in a case with potential wider implications. The case centered on the transportation of Jason DeCiccio’s weapons collection, including knives, in his move from Connecticut to a rental in Bolton, Massachusetts, where he was to take a job as a claims processor at the Veterans Administration. 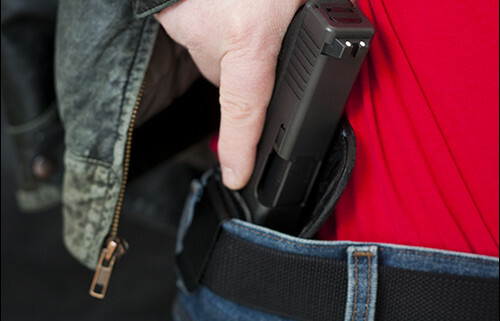 “The defendant originally was convicted for having a weapon in a motor vehicle, a violation of Connecticut’s harsh anti-weapons laws,” Knife Rights said. During the police officers’ processing of the vehicle, they found two machetes, a sword, a couple of smaller knives and a police baton. DeCiccio was charged with six counts of having a weapon in a vehicle and was acquitted on four counts. Convictions followed on his possession of a baton and a dirk, a small knife like a dagger, with a straight blade. NPR affiliate WSHU reported DeCiccio’s attorney, Michael Zariphes, said the decision was welcome but would not compensate DeCiccio for the last four years, including the 15 months he was in jail. Citing both the Heller and McDonald decisions by the U.S. Supreme Court, which affirmed that individual Americans have the right to keep and bear arms, the court said: “Well after the nation’s founding, knives continued to be an important tool for many Amerians soldiers. During World War II, American soldiers, sailors, and airmen wanted and purchased fixed blade knives, often of considerable dimensions. At least in some units, soldiers were ‘authorized an M3 trench knife, but many carried a favorite hunting knife.’ The Marine Corps issued the Ka-Bar fighting knife. As one World War II memoir records, ‘this deadly piece of cutlery was manufactured by the company bearing its name.’ … Vietnam memoirs record that Ka-Bar and similar knives were still in use. Likewise, the baton also fits the definition under the Constitution. WASHINGTON (AP) — A federal appeals court has ruled against environmentalists who are trying to force the Environmental Protection Agency to regulate spent lead bullets and lead shot used in hunting and shooting sports. 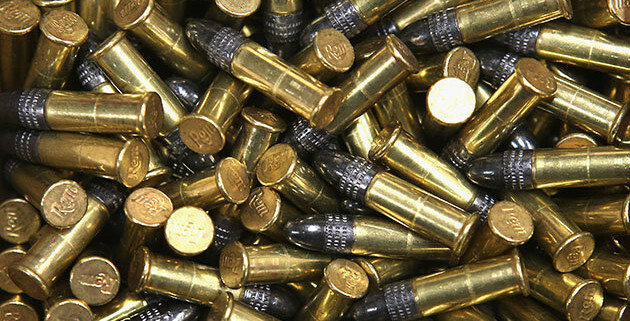 In a decision favorable to gun enthusiasts, the U.S. District Court of Appeals for the District of Columbia Circuit said Tuesday that environmental groups have suggested no way in which EPA could regulate spent lead bullets and shot without also regulating cartridges and shells. The Toxic Substances Control Act exempts cartridges and shells from regulation. The National Rifle Association and much of the pro-gun lobby intervened on the EPA’s side in urging the federal appeals court to uphold the dismissal of a lawsuit by 101 environmentalist organizations. “Given that bullets and shot can become spent only if they are first contained in a cartridge or shell and then fired from a weapon,” the environmental groups “have identified no way in which EPA could regulate spent bullets and shot without also regulating cartridges and shells,” precisely what the law prohibits, said the decision by appeals judge David Tatel, a nominee of President Bill Clinton. The other two judges on the case were Patricia Millett and Cornelia Pillard, both nominees of President Barack Obama. More than 50 million hunters and target shooters in America use traditional ammunition containing lead components, according to pro-gun groups. Ninety-five percent of domestically manufactured ammunition is made with lead bullets or lead shotgun shells. Lawyers for the environmentalists say there are many effective alternatives, such as substituting copper for lead bullets and lead shot. Gun supporters say ammunition manufactured with alternative materials is more costly to produce and sell than traditional ammunition. At least six states have issued warnings about lead bullets and the risks for pregnant women and children. Lead is a carcinogen with significant health effects on people. EPA banned lead-based paint and lead-based paint products in 1978. In 1991, the government adopted a nationwide ban on lead shot in migratory waterfowl hunting after biologists estimated 2 million ducks died each year from ingesting spent lead pellets. 227 years ago, on September 17th, 1787, the U.S. Constitution was signed. On that day, the delegates met for the final time and signed the revolutionary document they had spent months crafting. As a result of their extraordinary statesmanship, this radical document gave birth to freedom, and for the first time in the history of man’s relation to man, a society acknowledged that the “just powers derived from the Creator” belong to every citizen as a sovereign instead of as a subject. Now, however, the government founded to protect our natural, inalienable rights has become the greatest threat to them. And the nation formed to protect religious liberty now forces conversion to political correctness, supplanting freedom with compliance. Take the recent decision by California State University Chancellor Timothy P. White to strip the InterVarsity Christian Fellowship (IVCF) of its right to be a recognized organization on CSU’s 23 campuses because it refused to surrender its beliefs. “They can’t ask their leaders or members to sign a statement of faith.“ a CSU spokesman said. This is no small matter, but you’d never know that by the statements of Susan Westover, university counsel for CSU. Now, you might wonder, what exactly is IVCF requiring of its leaders in this affirmation of faith? Given the tremendous effort CSU has put into quashing this affirmation, you’d think they were advocating intolerance or hatred or condemnation of others, but nothing could be further from the truth. So, now the government wants to tell a religious organization that it cannot require an affirmation of specific beliefs that are the foundation and the tenets of that faith? What is it about Christianity in particular that strikes such fear into the hearts of tyrants? While I know that it is no longer popular at your institution to study the Constitution as it was written and amended, your decision to deny a Christian group the right to assemble as a recognized organization on campus, is a blatant violation of the First Amendment. The claim that this group violates the CSU policy of inclusion is laughable. The cited policy is inherently intolerant of virtually all individuals who adhere to any faith. Academia has long prided itself on embracing diversity. Unfortunately, the reality is far different. Academia is dominated by leftists whose definition of diversity is only skin-deep. When it comes to embracing diversity of thought, your policy is predictably intolerant of anyone who holds beliefs that differ from yours. I’m hoping that by banishing this Christian organization from recognized status, perhaps CSU students will become even more curious as to why “the man” saw it as such a threat. Religious liberty is not the only freedom under assault. On this anniversary of the signing of our Constitution, California’s state government is daily abusing the “just powers” entrusted them by the people. Even now, California’s Governor Jerry Brown is considering a bill (AB1014, Skinner, D-Berkeley) to deprive California citizens of their Second Amendment right to “keep and bear arms” by creating a special restraining order that empowers law enforcement to take your guns first and hold a hearing later in spite of you having committed no crime. Brings to mind that movie, Minority Report, which allows the government to arrest you for a crime you haven’t yet committed. And this week, Brown signed into law a bill that grants government unprecedented control over the groundwater that flows under private property. That has nothing to do with the drought. It is the left seizing on a crisis they created as a justification to consolidate power. If you cannot freely associate according to the precepts of your faith without interference from the state, you have no religious liberty. The right to worship as you please was the reason our founders fled religious tyranny to form this great nation. And the right to defend your “life and liberty” is a natural God-given right, essential if you ever hope to “pursue happiness.” Moreover, the right to own and control one’s private property is the physical incarnation of freedom. When government becomes the greatest threat to your liberty, you have tyranny. In an e-mail to its supporters, Calguns Foundation announced: California’s 10-day waiting period for gun purchases was ruled unconstitutional by a federal judge this morning in a significant victory for Second Amendment civil rights. The laws were challenged by California gun owners Jeffrey Silvester and Brandon Combs, as well as two gun rights groups, The Calguns Foundation and Second Amendment Foundation.